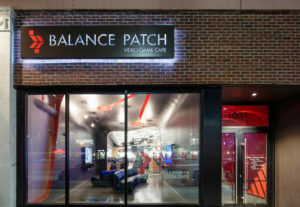 Balance Patch is Boston’s first social video gaming cafe, combining pay to play gaming stations, a full service cafe, and event space for competition gaming. 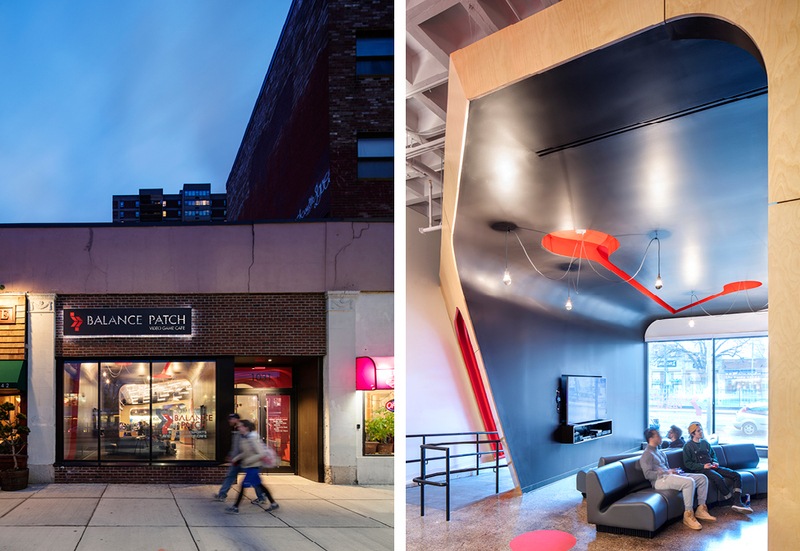 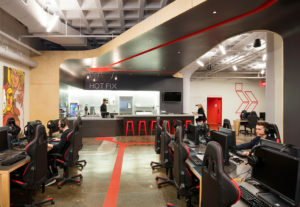 Located in the Allston neighborhood, nestled between several of the city’s universities, Balance Patch taps into a massive international market of social and competitive gaming that has since been underrepresented locally. 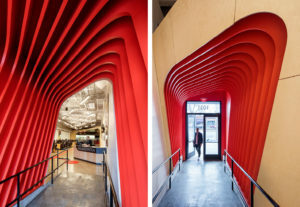 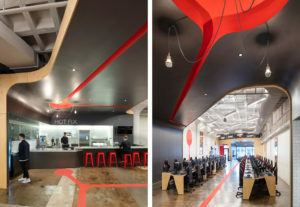 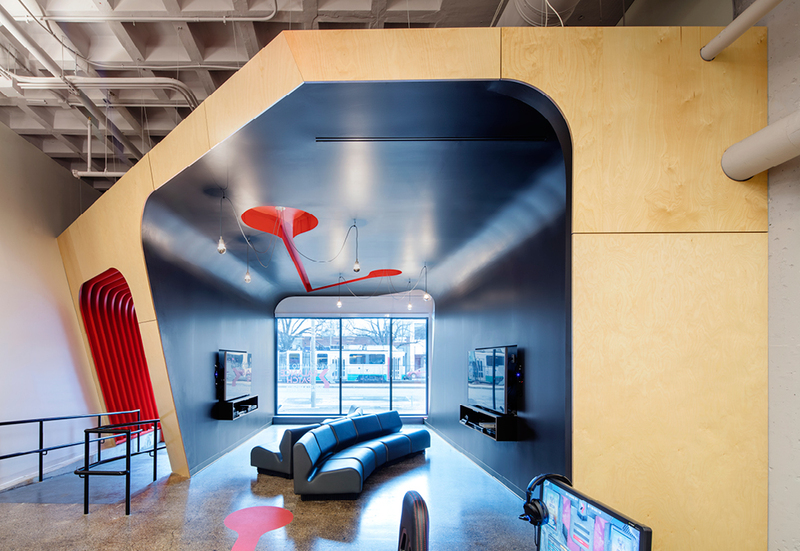 The project is further stitched together utilizing Balance Patch’s bright red as a continuous graphic that meanders from floor to wall to ceiling. 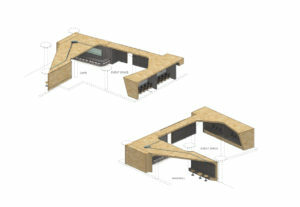 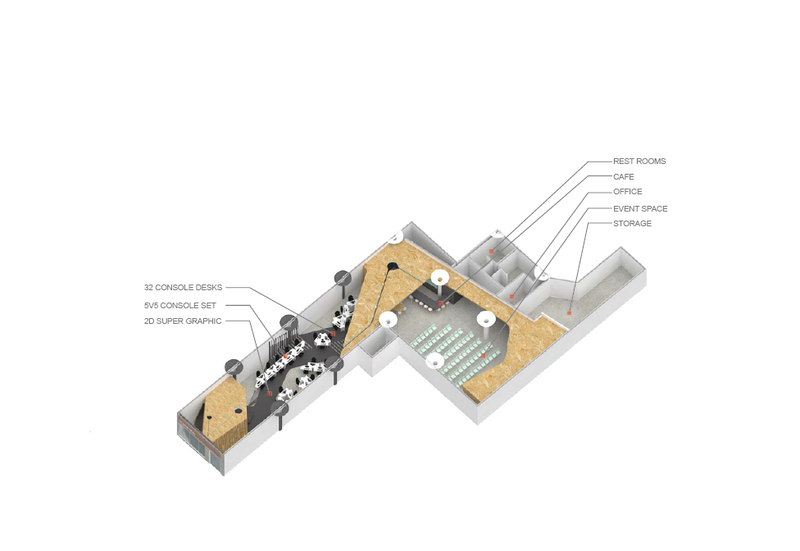 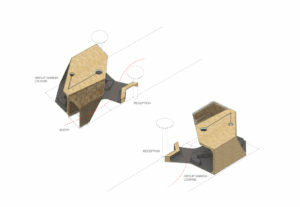 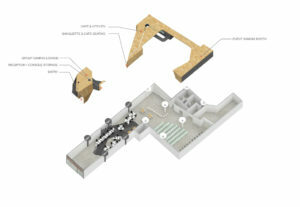 The series of connected nodes provides playful wayfinding that helps draw you through the space.